studio A: Projected and made by Chris Clifford, it has “A class” of analogue and digital equipment and a live room built with many kinds of woods that offer an accurate and detailed sound from soloist to orchestral sessions. studio B:It is dedicated to editing and pre/post production. 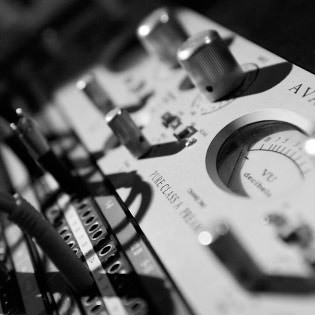 Groove Recording Studio’s staff will follow every step of your production with passion and care to obtain the best in all steps of the recording chain.